Dallas was incorporated in 1854 and conveniently located approximately 30 miles northwest of downtown Atlanta. The city of Dallas retained its natural charm with the vibrant and welcoming community. People love the historical view and some preserve civil war trenches of the county, there are affluent villages in the city where houses have garage doors because garage door does so much on your home. It’s not just allowing your vehicles to enter and egress it also enhance the curb appeal and beauty of your Dallas-area home. If you are living in this beautiful city and need a garage door specialist for your residential and commercial garage door problems, you may want to contact A1 Garage Door Service at 470-236-0800 to experience another exceptional customer service of Dallas, GA.
At A1 Garage Door Service, we are committed to providing superior quality garage door solutions including sales, repairs, installations, or replacements and maintenance services. We have a reputation to protect that’s why we only provide the highest quality of craftsmanship and friendly customer service. When it comes to a world class service, count on us! We have the ability and credibility to handle every make or model of the residential and commercial garage door, opener and spare parts. World class service yet the rates are remarkably competitive, that is A1 Garage Door Service. 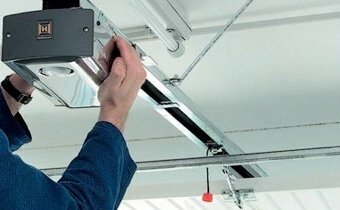 Our garage door experts are highly-trained required by the company to work in the field only into perfection, not only that the company let them learn more to update the latest garage door information, knowledge, and techniques. In this way, nothing will do better than us. We are bragging ourselves because we are capable of installing, repairing and everything related to garage door service that are professionals and exceptional. We suggest to take a look at the company’s background and see how we work with our customers. We are one proud distributor of superior brand of the garage door, openers, and spare parts from the leading manufacturers in the industry. 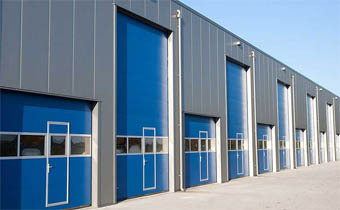 We have been supplying garage doors and other products related in Dallas, GA for thousands of homes as well as for commercial complexes. We provide you with products that are covered under excellent warranties including the lifetime warranties on selected garage door items. For your replacement or installations of garage door in Dallas, do not hesitate to give us a call immediately and our expert technicians will take care of all your garage door problems and needs as quickly as possible. We provide FREE estimates and FREE professional advice when you hire our service as well as our amazing promos, deals, and discounts. We even offer 24-hour emergency garage door service. We are open day and night to ensure we can attend every garage door needs in the city of Dallas, Georgia. For further details about our services offer and booking a schedule, please contact us at 470-236-0800. At A1 Garage Door Service, your satisfaction guaranteed!